The employer tax certificate season for February 2015 closed on 29 May 2015. As usual most employers managed to submit without any hick-ups, whilst others faced a few perplexing issues. Overall e@syfile performed well and the majority of employers submitted well within the allocated time frame. The Individual Filing Season has now kicked off and employees should start submitting their tax returns now – particularly if a refund is due!! Remember that the Individual Tax Season runs from July to November every year. For provisional taxpayers who submit via eFiling, it runs until January of the next year. Did not receive interest from a source in South Africa more than – R23 800 if you are below the age of 65 years; or R34 500 if you aged 65 years or older. Did not have dividends that were paid to them and they were a non-resident during the 2015 year of assessment. Employers should start gearing up for the August submission already and ensure that all relevant data is up to date in their payroll systems for the upcoming submission season. Employer-paid premiums to employer owned income protection policies should be taxed as a fringe benefit on the full value of the premium. This fringe benefit should be reported under code 3801 on the employees IRP5. An employee contribution to an employee owned income protection policy is NOT tax deductible. The pay-out of an Income Protection Policy, irrespective if the pay-out is monthly or a lumpsum, will be tax free. In March 2013 the Income Tax Act was amended to the extent that the remuneration factor in paragraph 9(3) of the Seventh Schedule was changed – This change only affected variable “A” in the calculation of the Residential Accommodation Fringe Benefit. The concept of “Remuneration Proxy” has since been defined in Section 1 of the Income Tax Act and as a consequence applies to the entire Act and all its Schedules. The full definition of the Fourth Schedule remuneration must be used when calculating the remuneration proxy. The impact of this is that values for travel allowance, use of motor vehicle, residential accommodation must be included when calculating this amount. “remuneration proxy”. We have been informed that this has subsequently been corrected. LabourNet have been advised (at this stage!) that no changes will be required for the August 2015 Employer Tax Certificate Submission. SARS has not made an official statement on this as yet. We will advise all our clients on any new developments if and when they come to light. employee;  A personal service provider;  A director of a private company. 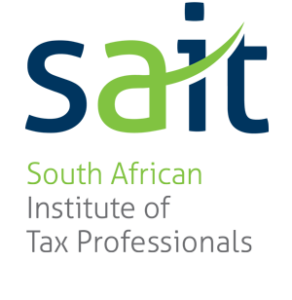 Pay Solutions strive to keep our clients up to date with the Income Tax Act to ensure SARS Tax Certificate Submissions are done timeously and hassle-free. 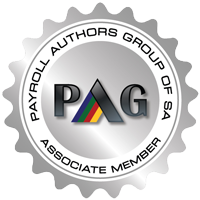 Please contact us to find out how we can help your company take the hassle and frustration out of Payroll and HR administration.